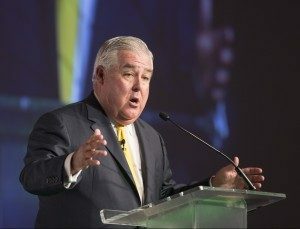 The November election will mark a “tipping point” for cannabis legalization in the United States, medical marijuana advocate John Morgan predicted Tuesday. Morgan, a deep-pocketed Orlando attorney, has spent roughly $7.5 million of his own money on this November’s MMJ ballot initiative in Florida as well as a failed 2014 effort. “There is no state in the union that is more ready for this industry than Florida,” Morgan said. His comments come as a slew of states could – or will – vote on legalizing recreational marijuana in November, including: California, Maine, Massachusetts, Nevada, Michigan, and Arizona. Other than Florida, voters in Missouri and Ohio could pass judgement on MMJ legalization. “This is a global cannabis movement. 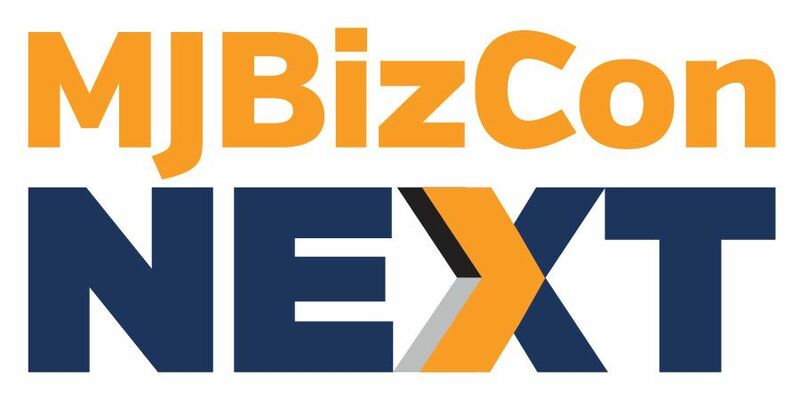 If California passes, that’s going to ripple across the globe,” Zeta Ceti, CEO of Green Rush Consulting in California, said at a separate panel discussion on the election during the conference’s afternoon session. According to Chris Walsh, editorial director of Marijuana Business Daily, sales for the California recreational market alone would exceed the existing level of nationwide sales for both medical and recreational cannabis. In his speech, Morgan compared a “tipping point” with a snowflake hitting a mountain. Morgan’s candid style and blunt observations drew laughter from the audience. But he also hit on serious topics, starting with an explanation of why he’s spending so much of his own money on MMJ: His brother became a quadriplegic after an accident at age 18, and has used cannabis to help cope with his symptoms for years. His father, who suffered from cancer, also eventually decided to try MMJ, which helped him regain his appetite. “I know it works, because I have seen it, firsthand,” Morgan said. Morgan said he learned several lessons from the near-passage of MMJ at the Florida ballot box in 2014. The campaign is applying those lessons this time around. For instance, he said, he’s focusing on educating seniors, a key electoral demographic and one that would also arguably benefit the most from MMJ. A mistake in 2014, he added, was relying too heavily on the youth vote, which didn’t materialize on Election Day. The campaign also may need more cash to get it past voters in the fall, Morgan said, because Florida requires a 60% supermajority to approve a ballot measure that changes the state constitution, as the MMJ initiative would. Also, some dedicated opposition has emerged, though Morgan said the number of opponents this time around will be smaller than it was two years ago. A Florida campaign with ties to casino mogul Sheldon Adelson – who helped defeat the 2014 medical cannabis initiative in the Sunshine State – plans to raise at least $10 million to fight MMJ legalization this fall. Morgan said, however, the Florida sheriffs won’t be fighting the initiative the way they did in 2014, because the legislature has tried and failed to expand a limited CBD program it first passed in 2014. The real opposition to legalizing medical cannabis, Morgan said, is coming from pharmaceutical companies. If the Florida MMJ initiative is approved, Morgan said, an estimated 400,000-500,000 patients in Florida will be able to obtain legal relief from marijuana. That’s a sizable customer base for any would-be company in the Sunshine State, and Morgan expects any company that sticks with the cannabis trade will come out a winner. The true “tipping point” arrived when Scientist proved the right to Cannabis represents a Basic Human Right because our Creator designed man’s brain structure to operate with a specific need for the active ingredient in Cannabis. Therefore, legislators are beginning to understand that their political stance against legalization represents a violation of our basic human right. Additionally, now that science has proven our environment is being bombarded with nuclear radiation fallout and Cannabis is part of successful treatment of radiation sickness, continuing to prohibit this Basic Human Right amounts to a war crime! And THAT is the only TIPPING POINT Mankind should require. Morgan gets it all 100% correct, IMHO. I would only add that Georgia is another state that should be ripe for legalization. Mr Morgan should file a lawsuit against the state of Florida for growing the cannabis medicine with pesticides and in that way causing cancer in the future FL cannabis patients! This is NOT acceptable! I for one cannot use the FL cannabis although I am disabled b/c of chronic spasms and pain. I am a cancer survivor. I can live with the spasms, as I have now for ten years now, but getting cancer would kill me! I feel discriminated against by the FL politicians! I protest! Yet another great and timely update, John. Thanks for the effort. As a longtime advocate far to the northeast, with scant financial resources to wield against legions of cannabis oppressors here in New York, I deeply appreciate people like John Morgan—people who are willing to shell out such vast sums of their own money for this noble cause. His Florida campaign expenses altogether (in 2014 and ’16) could be seen as a “snowflake,” considering the mountainous hundreds of BILLIONS senselessly wasted by federal, state and local governments over the last 80 years to destroy our cannabis economy—including the arrests of countless producers/distributors/sellers/consumers of seedless female flowers. We are hard pressed to find a more obvious example of modern tyranny than the one waged so unbearably long against the stalks, seeds, leaves and flowers of these fascinating plants. John is getting help educating seniors from the folks over at TheSilverTour.org please go there and help any way you can, the MMJ folks in Florida are going to need it. He is right that big pharma has the most to lose. A few pennies worth of cannabis replaces a few dollars worth of lunesta, about 3K for cannabis oil treatment for cancer(that actually kills the cancer) replaces 100K worth of chemo and radiation, non-addictive pain relief for pennies, WOW. I am so sorry but I was sick and did not get to attend the Expo! I was glad to read this article and hear what Mr. Morgan had to say. We are a start up company for CBD and this sounds encouraging. The hardest thing we face at wellnesshempoil.com .com is education. Everyone just thinks it’s about smoking pot. They could not be more wrong.! I am my own trial, I aM A 4TH STAGE kidney failure patient who has been on CBD now for 8 months. No dialysis, no transplant yet. I fight with diet, and CBD, Low Protein . I stopped my CBD use to test a new product and my numbers dropped to a worse condition. Now I am back on the CBD Gold Oil and will not stop it again. I know it is helping my kidneys, my IBS, & my pacemaker heart. Thank You Mr. Morgan. Why would a Florida attorney spend millions to legalize pot? Oh because he wants to be one of the Big Growers. See WSJ article on what he did during last referendum. When is enough millions enough? never with some folks.